AmazingClassroom.com makes it easy for school teachers (K-12) to create and maintain a classroom website. Check out our sample classroom websites. Hover or click the links to learn more! Keeping parents up to date has never been easier. After the initial set-up, your website can be updated in minutes per week. Students and teachers love our time saving math facts tests. Try one now. NEW! - Custom page bottons! Change the above page names to any subject or class name. All templates contain an autolink code that automatically converts website addresses into a links for you. No HTML required! Usage of the website is not required to join. Many teachers join for the math facts tests or whiteboard resources alone. Save time! 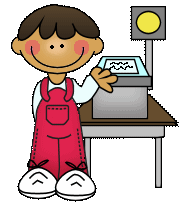 Weekly classroom newsletter printouts are easily generated from information on your website. Customize any parts you like, then create a printable PDF file. Several custom newsletter templates available! Students login through your website's math page to take their math facts tests. You choose how many problems, the length of time to take the test, and the starting test level. Student scores are saved in a easy to read chart, seen here. Students advance to the next test when they score 100%. Save paper! All math tests are taken and scored online. Find out ahead of time how your students will score on the state mandated CCSS tests with our online testing based on the Common Core State Standards. Test any Common Core Standard area in Math (K-5)! English Language Arts (K-5) & Science (K-5) coming soon. Students' grades are shown in real time on simple charts & graphs. Tests are graded on individual standard performance as well as overall score. 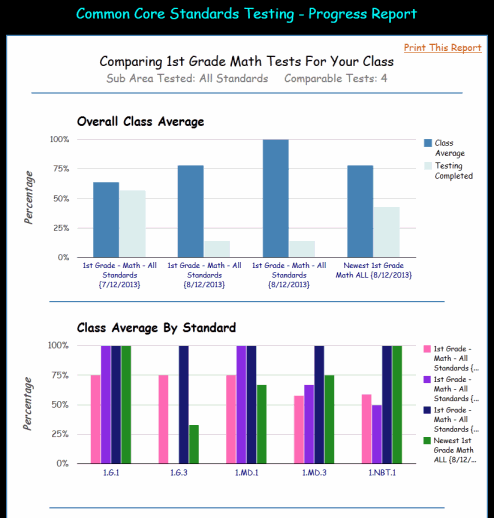 Compare class progress between like tests, & print reports showing which standards your class needs to work on. 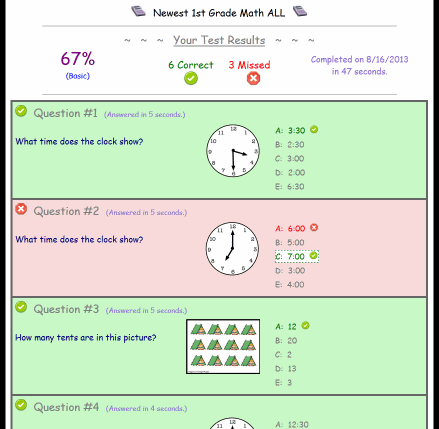 Our test interface is simple, easy to follow, & questions are randomized to avoid cheating. The gradebook login is optional, and may be easily turned on/off in the teachers update area. The fluency practice area offers a variety of guided fluency practice activities for elementary teachers/students. For word fluency, teachers randomly click through our database containing thousands of common sight words divided by grade level (K-6). 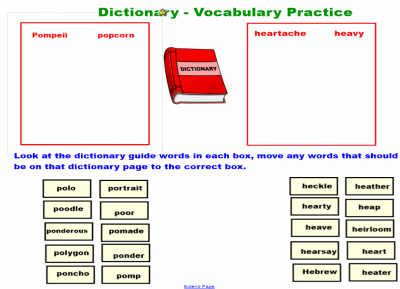 The fluency practice area can be found under whiteboard resources after logging in. Our whiteboard resource library offers resource packs and lessons for teachers using interactive Smartboards™ or Promethean Activboards™. Additionally, we offer 136 Promethean™ flipchart lessons and 122 Smart™ Notebook lessons already created for you. Lessons available include: spelling, money, fractions, and many more. 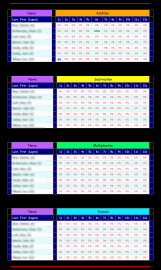 Also available are 238 printable activity pages already created for you. Worksheets and activities include: math, communication arts, and more. Answer keys included! Multiple teacher discounts also available! 17 Classroom Website Templates Available! 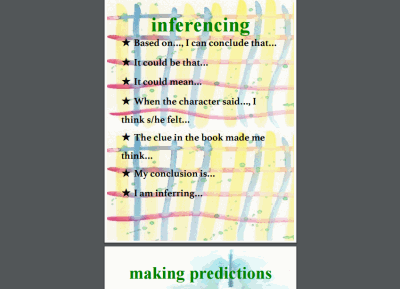 All of our whiteboard resources and printables are made for us by real elementary school teachers, and are only available to our paid members. 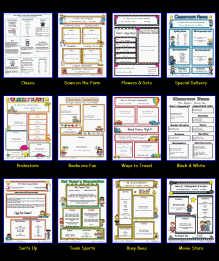 196 whiteboard resource packs, and 238 printables available for download. Get one full year of access to everything we offer for just $29.95. Join today!